With the dawn of the age of (nearly) affordable battery storage, more and more Australian homes are considering the possibility of disconnecting from the electricity grid; or the first time, off-grid living looks like it may be feasible virtually anyone – even for urban households. 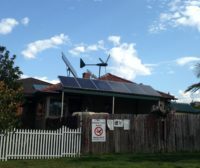 Solar Choice has conducted some desktop analysis into the minimum amount of solar & storage capacity that would be necessary to take a home off the grid (See: ‘Can you go off-grid with solar & storage?‘); we have also put together a indicative Off-grid Solar & Storage System Sizing Estimator Tool. But in reality, the challenges of associated with going off-grid extend well beyond the simple question of how much hardware you need. Living off-grid is – in most instances – a big lifestyle change if you’re accustomed to the convenience and reliability of grid electricity (as most of us are). In response to the rise in the number of would-be off-gridders, Queensland network company Ergon Energy recently published a list of considerations that anyone thinking about going off-grid should keep in mind before cutting ties with their network. While Ergon is a Queensland-based company, the points they make apply more generally to anyone in Australia. Ergon says that it put the list together to highlight some of the challenges of going off-grid “without looking like a big corporate entity trying to scare customers into staying with us.” Our judgement here is that Ergon’s points (outlined below) are practical and eye-opening, and in no way sensational or scare-mongering. Is going off-grid worth it for you in pure financial terms? Unless your property is a new-build home with no existing grid connection (i.e. you’ll need to pay for a new line to be run out to your home), the answer is probably ‘no’. If you’re already connected to the grid, all your electricity-related costs will be spread out into the future as you consume energy – ‘pay as you go’. Contrast this with the costs associated with installing an brand new stand-alone power system, which will need to be large enough to both meet your daily electricity demand (at its hypothetical peak), as well as generate & store enough excess energy to get you through several days of inclement weather. This means that no matter how you look at it, it’s likely to cost a fair chunk of change (especially for the batteries). The higher the out-of-pocket cost of your system, the longer it will take for it to ‘pay itself off’ in comparison to what you would have paid by staying grid-connected. While going off-grid may mean that you get to live life free of electricity bills and associated price fluctuations, that doesn’t mean your energy will be ‘free’ – just that you’ve already paid for it. Ergon also notes that investing in an off-grid system may only be worth your while if you’re planning on staying in your home for long enough to recoup your costs. 2. How much solar capacity can you fit on your roof? If you want to go off the grid without changing your daily electricity consumption habits, you’ll need to have enough solar & battery storage capacity to meet your needs throughout the day. For most homes – especially those on an urban or suburban quarter acre block – the greatest limiting factor may be the amount of roofspace (or yard space) on which to mount solar panels. Once you max out the space available, your two options are basically to 1) invest in higher-efficiency panels, and/or 2) reduce your electricity consumption to such levels as your activities can all be supported by the amount of solar capacity that you can fit. 3. What will you do for back-up power? If you run your batteries down to empty over a spate of bad weather and it’s nighttime (i.e. there’s no sunlight to charge them back up until at least the next day). If your system is undergoing regular maintenance. 4. What if your energy use suddenly spikes? A home’s electricity consumption isn’t steady throughout the day – imagine what happens when you switch on a vacuum cleaner, an oil heater and a washing machine all at the same time, for example. While the grid’s capacity to keep up with these power spikes is substantial, an off-grid solar and storage system has to be engineered with these peaks in mind – which usually means more capacity and higher costs. An alternative to designing a system with this extra capacity is to modify your behaviour – make sure you only run one device at a time, for example – but this would for most homes be something of a lifestyle change, and it’s ultimately up to you to decide whether this is an inconvenience worth taking on. 5. Are you prepared for the lifestyle change? In order to make off-grid living work, you’ll need to strike some sort of balance between the amount you’re willing to pay for the system and the behaviour changes you’re willing to adopt. Ergon notes that things like having guests over, dealing with extreme weather and hosting a party are things that will take on a whole new dimension of considerations if you’re living off-grid vs connected to the grid. 6. What about battery safety? 7. What are the ongoing costs of running the system? In addition to the initial capital outlay for your system, there will also be occasional upkeep costs that are necessary to ensure it operates optimally. Solar panels will come with a 25-year standard warranty, but batteries and inverters will need to be replaced every 5-10 years, depending on the warranty. Additionally, if you have a diesel generator, you will need to pay for fuel on the occasions that you need to run it. 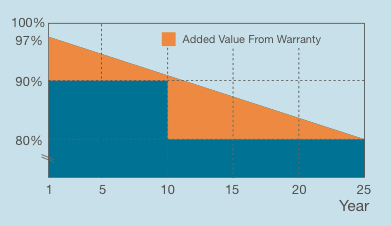 Example of a linear warranty for solar panels over 25 years. 8. What about system maintenance? Says Ergon: “When you go off the grid, maintaining your power supply becomes your responsibility. Regular services by an electrical professional are essential.” If something happens to your system that causes downtime, you may be stuck running your generator or – worst case scenario – left without electricity until it gets fixed. You’ll want know all the details about who services your system’s warranties and how quickly they will be able to respond to warranty claims. While this may not apply to everyone, it’s worth bearing in mind that an EV can be a huge energy consumer, which may require additional PV/battery capacity. Additionally, fast charging – if desired – may require an even higher degree of peak generating capacity. 10. 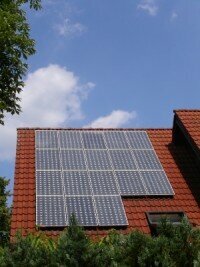 How will going off-grid affect your property value? While you may want to live off the grid, when it comes to selling your home, potential purchasers may not share your point of view. As opposed to a solar system on a grid-connected home (which is often seen as a bonus and could potentially add value), it’s safe to guess that while an off-grid home may eventually sell for more than a comparable home, it will probably spend more time on the market due to its niche appeal. There’s also the question of the age of they system at time of sale: Someone moving into an off-grid home would probably rather have many years of maintenance-free operation ahead of them as opposed to ending up with a system that they know they’ll need to replace a great deal of in the next few years. Great articles well worded and give us something to think about, we have enjoyed 5 k gross payments as we generate more power then we use. For us off the grid maybe the way to also as we are in the rural property out power is off frequently therefore we cannot even have water its in tanks and need pump to run it. Also having spent money on 5 k system to generate power and when we have these frequent power cuts we are without power once 11 days running. Suburbia where there are no power cuts they probably do not have the need to go off the grid. In the article it mentioned than off the grid properties may take longer to sell. Thank you allowing u to express our opinion. Sounds like you might be in a good situation for going off-grid, although you might need more solar than a 5kW system (unless your daily usage is very, very low). You might even be able to set up a separate solar-powered pumping system with its own batteries that works independently of the rest of your home. Before getting off the grid altogether, however, I’d recommend investigating the possibility of upgrading your inverter to one that supports solar & battery backup functionality. Most solar inverters shut down automatically when the grid goes down as a safety feature, but it is possible to have on installed that will allow you to continue to run your home (or at least some of the devices in your home) using your solar & batteries. If grid reliability is an issue where you are (as it sounds like it is), then maybe you could consider this as a solution. And yes, there is a definitive advantage to have solar on a grid-connected home when it comes time to sell – who wouldn’t like home with a solar array? But being off-grid comes with a whole slew of other complications and considerations (as the article above highlights). 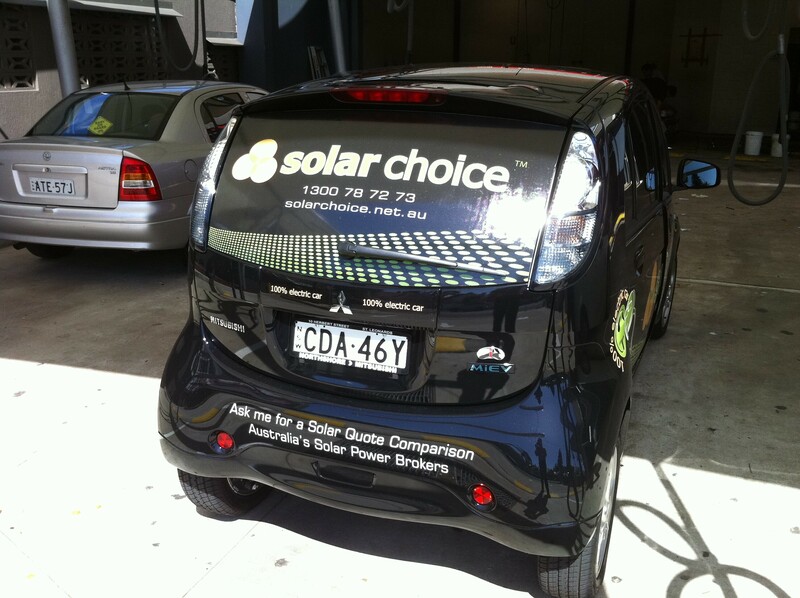 Next post: 5 arguments for solar-without-storage: Why would you wait to install batteries?